WAV, short for Waveform Audio File Format, is a common audio file format standard for storing audio data. It’s a common audio format used to store raw and uncompressed audio on Windows. AMR is an audio format that are most seen on 3G cell phone used for storing voice recordings. And nowadays you can still find audio files with an .amr file extension on a lot of Android smartphones. To convert WAV to AMR, you can use help from all kinds of audio converters on the market. Check out the content below and see how to convert WAV to AMR with two different kinds of WAV to AMR converters. The first WAV to AMR converter program we are introducing is Leawo Video Converter. 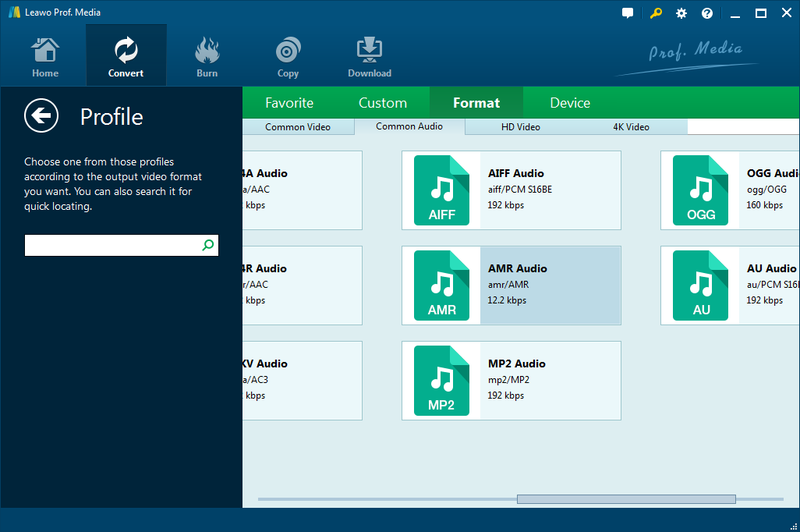 It’s a top-notch video/audio converter that supports conversion between 180+ formats. 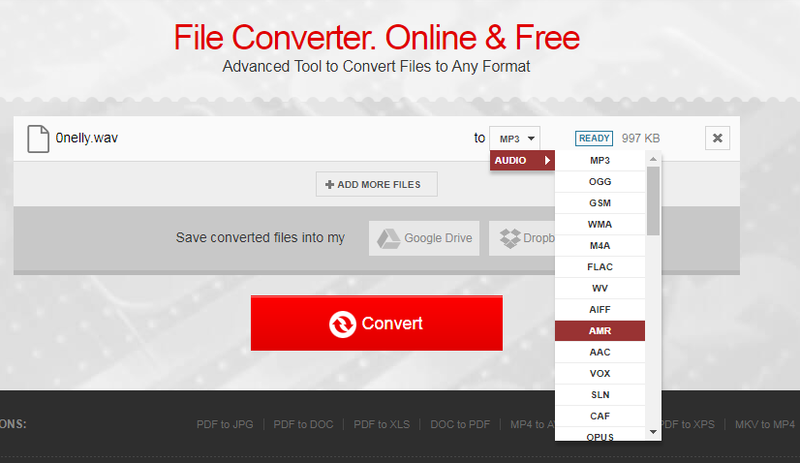 With the help of this audio converter, you can easily convert WAV to AMR. Here’s the instructions for converting WAV to AMR using Leawo Video Converter. Note: Leawo Video Converter was integrated into a software package called Prof.Media by the software developer. Don’t be alarmed when you find that the program you install is Prof.Media, Leawo Video Converter is right inside the program. Step 1. Open Leawo Video Converter. 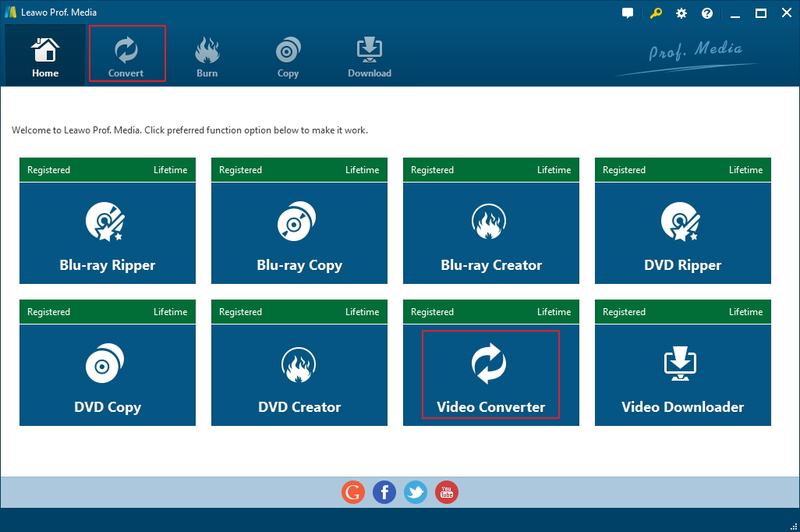 Launch Leawo Prof.Media and then on the interface, click the Convert tab at the top or click the Video Converter tag to launch Leawo Video Converter module. Step 2. Add source WAV file to the converter. You have two ways to import your WAV audio files to the program. The first method is to drag and drop your WAV files directly to the interface of the program. The other one is to click the Add Video button and select them manually on the Open File dialog box. Step 3. Set AMR as the default output format. As you are converting WAV to AMR, you should first have AMR set as the default output format first. You can find that there’s a green Convert button in the top right-hand corner. There’s a button on the left side of this Convert button which shows the default output format. Click on this Format button and a menu with 3 buttons will appear. Click on the button in the middle, which is Change, to enter the Profile page where you can find all supported output video/audio format. Find AMR under Common Audio tab and then set it as the default output format. 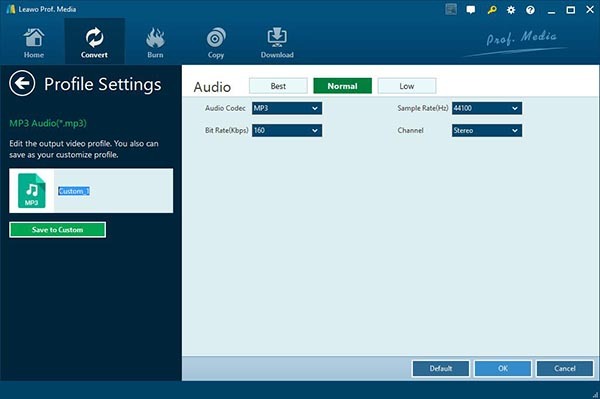 Leawo Video Converter provides users with the option to adjust the parameters of the output format. If you want to tweak the parameters of the AMR format, just click on the Format button mentioned above again and then click the Edit button on the following menu. And then you would enter Profile Settings page where you can adjust the audio parameters. The audio parameters you can adjust including Audio codec, Bit Rate, Sample Rate and Channel. You can tweak them according to your needs. After setting everything up, you may start the WAV to AMR conversion. Go back to the file list and then click the green Convert button mentioned previously and then a sidebar would show up from the right side of the interface. Under Save to tag is the default output format. To change it, just click the “…” button next to the output format box. And then click the Convert button from below to start the WAV to AMR conversion. That’s how you can convert WAV to AMR with a WAV to AMR converter program. Leawo Video Converter is a great choice for high quality and massive audio/video file conversion. Leawo Video Converter is a great option but if you don’t feel like installing a program on your computer and paying for it, you might consider using an online audio converter. There are a lot of online video/audio converters that you can utilize to convert WAV to AMR. But from what I’ve seen from those online video converters, AMR is not supported by all of them, So I’ll show you how to convert WAV to AMR with an online video converter that supports AMR. The online WAV to AMR I’m using is convertio. 1. Open convertio’s website with your browser and then click on the computer icon and then select the WAV files you want to convert to upload to the program. You can also directly drag and drop the source WAV files to the website. 2. After adding the source WAV files to the conversion list, click on the Format box and then select AMR as the default output format. 3. Click on the red Convert button from below and the source WAV files will start to be uploaded to the website and the conversion will start. 4. When the conversion is finished, click on the download button to download the converted files to your computer. That’s how you can convert WAV to AMR online. It’s also easy to operate and it’ll save you from the trouble of installing a program on your computer, if that’s something you’d rather avoid. Leawo Video Converter is more suitable for high-quality and massive conversion. With it you would be able to convert not only WAV but also other formats like MP3 to AMR easily.